Today is the first day of Rosh HaShanah—the Jewish new year. It is a time of judgment, repentance, and preparation for Yom Kippur, The Day of Atonement by doing good works. According to Jewish tradition, during Rosh HaShanah, and the “Ten Days of Repentance” that precede Yom Kippur, people repent of their sins and do good deeds in order to be listed as righteous and inscribed and sealed within the book of life (Psalm 69:28). Traditionally, people eat apples dipped in honey during this time as a reminder of God’s sweet provision, and they trust that God will continue to provide for them during the upcoming year. Rosh HaShanah is a wonderful biblical feast and a reminder of God’s awesome provision, His justice, and His mercy. As followers of Christ, we recognize the importance of repentance and doing good deeds, but we know that this does not qualify us for inscription in the Lamb’s book of life. 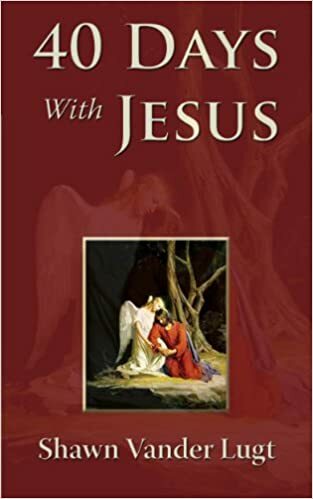 Faith in Jesus Christ is the only path to inscription in this book. Revelation 20, however, does mention other books. Our deeds, good and bad, are written in these books…and we will be held accountable to those deeds. One of my good friends is a self-proclaimed agnostic—who dabbles in Buddhism. I know…he’s definitely a fun person to have around. One of his greatest qualms with the Christian faith is our emphasis on “righteousness by faith.” He believes (and I tend to agree with him) that too many Christians embrace cheap grace and then turn around and treat the world—and the people in it—like their own personal toilet. Righteousness by faith often instills a complacent posture toward the betterment of humanity. We often conclude that because of our faith in Christ, God has instantaneously inscribed our names in the Lamb’s book of life—which is true. However, by doing this, we ignore the other books, we disregard our calling as ambassadors of Christ to this broken planet, we push aside any inclination to do good works. Rosh HaShanah is often referred to as “The Feast of Trumpets.” Prior to Rosh HaShannah, the shofar or ram’s horn is blown. The blowing of the trumpets is a call for people to repent. 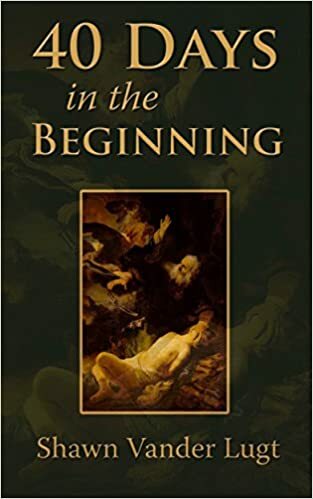 Many eschatological theologians believe that Jesus fulfilled all of the spring biblical feasts (Passover, Unleavened Bread, Firstfruits, and Pentecost) in his first coming. They also believe that Jesus will fulfill the fall biblical feasts (Rosh HaShannah, Yom Kippur, and Tabernacles) in his second coming. According to this perspective, Rosh HaShannah will be the time when Jesus returns…the resurrection of the dead…it will be the day when Christians are raised to new life. “Listen, I tell you a mystery: We will not all sleep, but we will all be changed—in a flash, in the twinkling of an eye, at the last trumpet. For the trumpet will sound, the dead will be raised imperishable, and we will be changed” (1 Corinthians 15:51-52). I don’t know when Jesus is going to return…nobody does. But if Rosh HaShannah can refresh our faith, bring us to our knees in repentance, rekindle our trust in God’s providence, inspire us to embrace our responsibility to do good works, and listen for the trumpet to blow as we anticipate Christ’s return, then I’m all for it. Le’shana Tova Tikoteiv Vetichoteim everybody! Let us hold tightly without wavering to the hope we affirm, for God can be trusted to keep his promise. Let us think of ways to motivate one another to acts of love and good works. And let us not neglect our meeting together, as some people do, but encourage one another, especially now that the day of his return is drawing near. Two weeks ago, while hiking along the South Fork Creek, we came across a pack of coyotes on the hunt. Several coyotes fled upon our arrival, but one of them relentlessly held the head of his prey—a mule deer fawn—under the water attempting to snuff out its life. Our natural inclination was to move toward the coyote and save the deer…which we did. Upon taking a few steps closer, the coyote released the deer and rushed to the other side the creek and ran along the ridge until she was out of view. The fawn emerged from the water, gasped for a breath of life-giving oxygen, and dashed away. Regardless of the fact that I interrupted the “circle of life,” I was extremely pleased with myself, and so were my friends. We saved an innocent deer from destruction. We fulfilled our duty as the “protectors” and “redeemers” of the planet. I used to believe that saving people was one of the primary commissions of those who follow Christ. Whether that be supporting someone who’s abusing drugs, guiding someone out of self-inflicted pain, or finding a solution to someone’s problems…even if that person isn’t asking for a solution. In Salinger’s The Cather in the Rye, Holden Caulfield was overwhelmingly concerned about the ducks in the pond and where they went in the winter…he wanted to rescue the ducks before the ice consumed the pond. Holden also wanted to keep innocent children innocent. He wanted to catch them while they played in the rye…before they fell off the cliff and into the abyss of adulthood. Like Holden Caulfield, I wanted to be the savior of the world. I wanted to rescue the innocent deer, the unsuspecting ducks, and the naïve children. My ambition was to save the lost…even if they didn’t want to be saved. I wanted to “cure” people even if they weren’t ready to be “cured.” I believed that “saving” was my calling as a Christian. My self-righteousness was wrapped up in my own “savior complex.” I was obsessed with solving others’ problems instead of focusing on solving my own. I wanted to be like Jesus—a savior. The true Savior of the world didn’t have a savior complex. Jesus stated the facts, put all the cards on the table, and asked us to choose. If we chose to ignore Him, He lets us walk away. He doesn’t chase us down or catch us before we drop off the cliff. In fact, he stands by and watches us fall…if that’s what we choose to do. Jesus respects our decisions…even if those are the dumbest decisions on the planet. If we chose salvation, the road ahead is a difficult one. Jesus is the personification of “tough love.” Jesus doesn’t promise an easy road to recovery and redemption. Jesus doesn’t promise an immediate solution to all our problems. He is our Savior, because his presence on this earth, his sacrifice on the cross, and his defeat over death all demonstrate the love of God and His passion to get his family back. Jesus represents the extent to which God goes to search for his family, the lengths to which God respects our freedom to choose—even at the expense of his only Son. “Love” is the essence of “Savior.” Salvation cannot occur without love. A savior complex exists because we ourselves possess an unhealthy need to solve someone else’s problems primarily because we don’t want to face our own. True salvation flows out of love. It’s perfectly acceptable to desire another’s salvation. To wish that your brother or sister be free to breathe again…be free from the grasp of a hungry coyote. Problems arise when we conclude that we can save them on our own. We are commissioned as witnesses to love others and testify about God’s love evident in Christ’s power to save us. Witnesses share how Jesus has transformed their life and then allow the judge to decide for him or herself whether that testimony is valid. If the judge chooses otherwise, we have to step back and allow that judge to wander through the fields of rye and pray he or she doesn’t fall off the cliff. As much as it pains me to watch the innocent wander aimlessly…as much as I desire—as Holden Caulfield does—to stand on the edge of the cliff waiting to catch my brothers and sisters, I have to accept the fact that I can’t save them…but Jesus can. The frigid air blustered off the lake, through the tops of the pines, and into the small window of my tent, as I laid there awake—impatiently anticipating the break of dawn. I never sleep well on the trail. I’m always exhausted, but the cold temperatures, the soreness within my body, and the orchestra of snoring that explodes from my fellow comrades prevents the Sandman from entering my domain. I just lay there…praying for sleep. Eventually, when the sleep refrains, I admit defeat and just pray for daylight. That was the situation this past Friday morning. We had a huge trek looming in the near future. 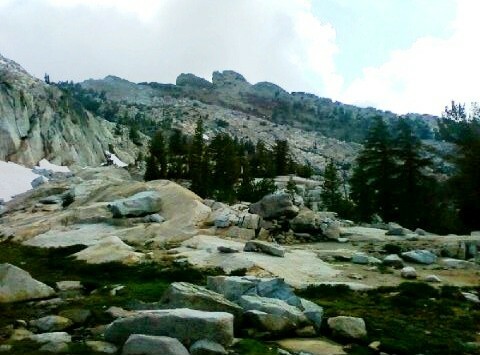 We were going to hike three miles down to the South Fork Valley, three miles along the South Fork to the base of the ascent, and then three miles to the summit of Tuolumne Peak…up 2500 vertical feet. I was excited and ready, but I worried about my aptitude for this climb. I didn’t sleep much…if any at all, and a cold virus had taken over my body Wednesday morning and was now escalating. Cold sores were invading my face and my sinus pressure was surmounting. The negative external factors were steadily increasing, causing fear and worry. As we began the three-mile descent into the valley, I found myself staring at the trail in front of me rather than looking up and around at God’s spectacular enveloping creation. When I looked at the trail, my focus was limited to those elements within my vicinity…within my grasp. My thoughts turned inward…I dwelled on my sickness, my pains, my fatigue, and my limitations. The longer I stared at the trail, the more discouraged I became, bitterness and frustration swelled, and the goal of reaching the summit seemed far-fetched and insurmountable. Eventually, we reached a clearing that looked out into the vast wilderness. We could see for miles. On display before us was one of God’s greatest masterpieces—granite sculpted by God’s glacial chisel. It was breathtaking. To the southeast, we could see our destination —Tuolumne Peak. My thoughts of desperation suddenly disappeared. I had a purpose…a reason to do the things I was about to do. As I continued on, I came to a realization: whenever I would gaze down toward the earth, my efforts became futile; whenever I would gaze upward…toward my goal, I would receive strength and encouragement. In due course, I reached the peak and sat high above the canvas composed of granite, pine, water, and ice and I praised the Creator—not only for this work of genius that stretched out beyond the horizon, but for God’s magnum opus…humankind. I praised God for the faith, courage, and conviction he gives to us when we look toward the heavens and fix our eyes on Jesus Christ who is “the pioneer and perfecter of faith” (Hebrews 12:2). I confessed for all the times I set my mind on earthly things, and let those things discourage me and infuse bitterness within my heart and soul. Eight months ago, I received a letter from someone I deeply cared about that (in effect) terminated our relationship. I had grown to love this entity, respect it, and admire it—it was my employer. I believed with my entire being that God had delivered me to this position. I was convinced that this was my calling. I dedicated my entire life to serving my employer with loyalty and passion. I felt like a lover scorned…I still do. Whenever I gaze upon the trail, and my thoughts turn inward I become bitter and resentful. Whenever I worry about tomorrow…my mortgage, my financial situation, my future career, the anger swells into hatred and malice. Like an estranged lover, I lash out. Why I believe my own bitterness, resentment, and rage will harm my former employer rather than further harm myself is beyond me? I know I need it to abscond. When this occurs, I’ve discovered a solution—an escape. By looking up, I find release from these things that bind me. If I focus on Christ, instead of earthly thing—the things along the trail—be that financial problems, career changes, frustrations, pains, fatigue, bitterness, and rage—by looking up, these things blow away with the wind down into the vast granite valley that lies before me. By dying to this life and the worries it carries, and looking up toward Christ at the right hand of God, my rage and bitterness disappear. By looking up, my goal is a reality and I’m assured that someday I’ll sit upon the mountain peak of God, high above His great canvas, and praise the Creator for all eternity.